Left foot forward (a journey into reenactment): The off season. Camping out in mid-winter is generally not-so-fun, nor are the public so keen to stand around in wellies and anoraks watching soggy Napoleonic soldiers pitifully trying to fire a volley in the rain. Indeed as I write this most of the fields of England are probably under water. For these reasons winter is generally a quiet time. Of course in continental Europe there are still events because historical dates are re-enacted, but upon these shores there is no such incentive to break out the waterproof shako covers and wrap rags around flintlocks. Boozing, eating and dancing safely inside seems infinately more acceptable. 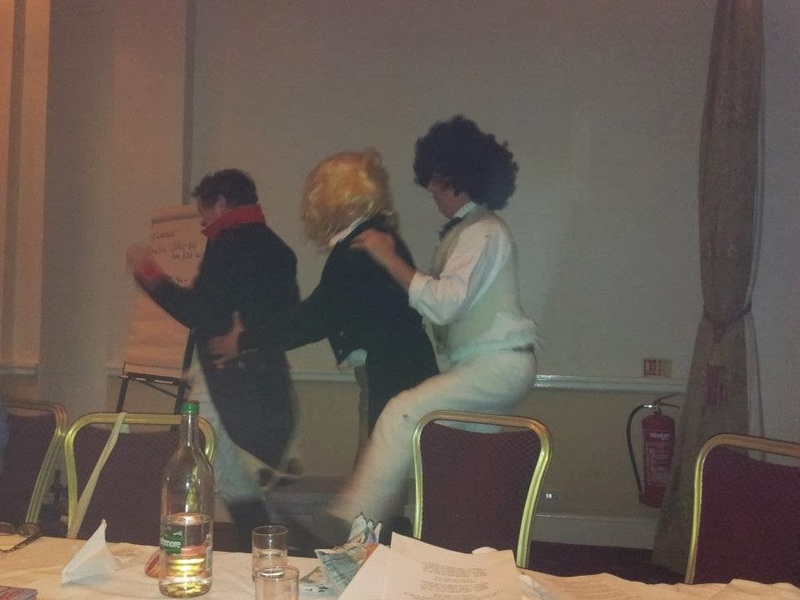 My own regiment had it's AGM and meal/social with a quiz and other civilised frivolities. 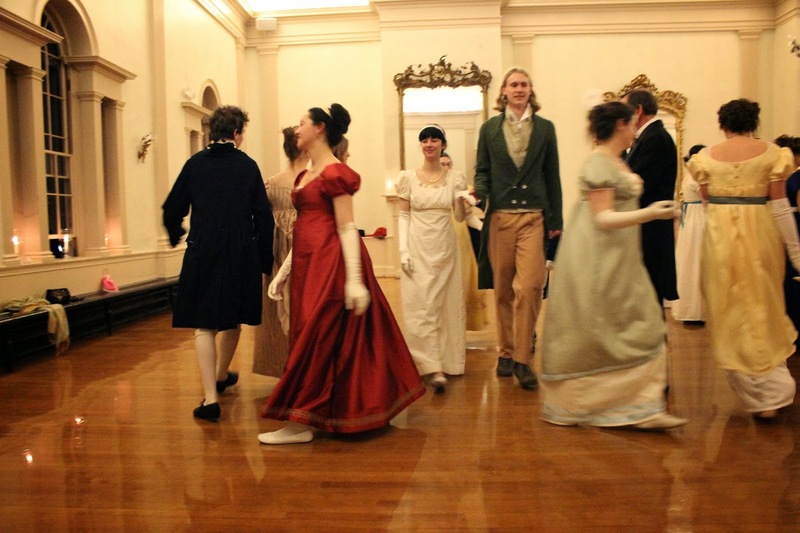 The Napoleonic association has a grand ball, and I am sure most other reenactment eras have there own dinner and dance/ho-down/Saturnalia/virgin sacrifice.. each to their own taste. For many it is also a time to create or repair worn out kit, pick up more gear and prepare for the year ahead. I am pleased to report I now have my own habit (jacket) and musket and accessories. 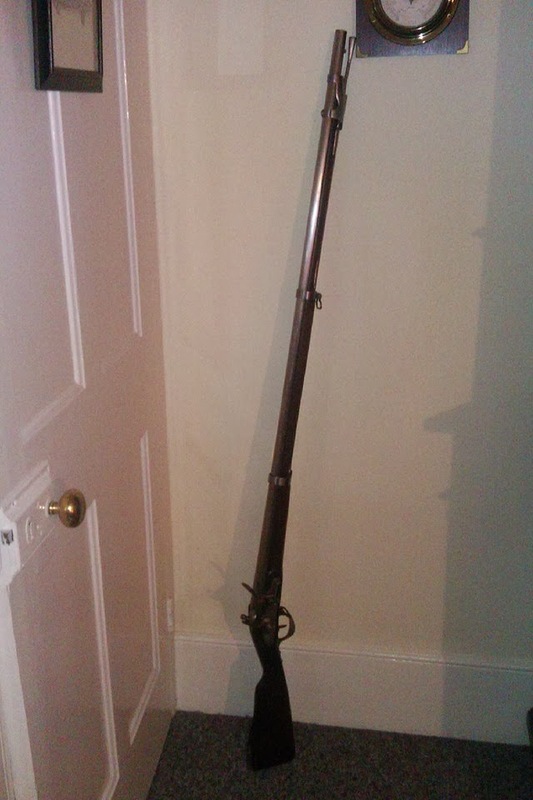 The whole saga of getting my black powder and then shotgun licence behind me I had the great fortune of being able to make payments on a pedasoli musket at a good price and collected it at said AGM. Mine all mine. My precious. As with all things it is good to ask around. Derbyshire arms are the main suppliers of black powder weapons and equipment in the UK, and like many businesses I have found some speak very highly of them.. others not so, with deliver times often being long overdue... similarly my habit from Stitch in time seemed to be well admired and I had no problems with service whilst trusted chums had a mix of opinions when advising me where to buy one from. Many reenactment suppliers are real cottage industries and it seems to me you can often strike it lucky or fall foul of simply how much work the person has on and how much time they have and what there own supply situation is. As I said before you tend to get what you pay for but there are still bargains to be had out there so don't always dismiss a bargain if a bit of research gets you some good reviews.. or at least a healthy mix. Nothing I have bought so far has really let me down, an advantage of cottage industries being these people are often involved with the hobby and care about what they do, but as humans things can sometimes still go awry. For this year most of the bicentennial events are pretty early before the UK scene has really climbed out of bed and with no 'Big event' of the campaign like Leipzig was to 1813/2013. So what might the year ahead bring? Who knows.. I hope to get to Woolaton as it was my first event (less than a year ago, that seems really weird!) and have several other events marked down including a return to Dover and Eastbourne and a new event at Painshill which bodes well as a big gathering (and a joint birthday party) and maybe a trip to Belgium for Hoogstraten, I think an event abroad each year would be a grand plan.